episode 161 – better banking relationships… or bust! 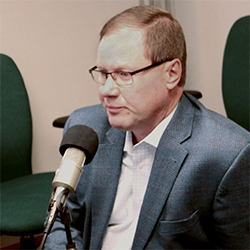 Doug Houser, master of banking relationships, is with Dave on unsuitable on Rea Radio to discuss the importance of having quality relationships with your business’s bank. If you have a strong relationship with your banker, you know just how valuable that relationship can be to a business’s bottom line. On the other hand, those who only use their banker for a few transactional services here and there probably have no idea what that’s like, and the idea of establishing and nurturing a relationship with a banker might sound like a foreign concept. In this episode of unsuitable, we will pull back the curtain and examine everything from the benefits of banking relationships to what questions to ask at your next meeting with your banker, to how to choose the right institution to work with. Our guest Doug Houser, who recently joined Rea as the new director of construction and real estate services, knows all about the importance of banking relationships. While he has more than 25 years of experience in accounting, he has racked up first-hand experience in the banking industry as well and he is going to offer us an entirely new perspective to how we approach our banking relationships. Banks have varying levels of strengths and capabilities that are not always fully transparent to the client. Assistance can range from a quick and honest assessment to a full bank relationship review, covering loan terms such as tenor, rate structure, reporting requirements, collateral coverage, financial and operating covenants, guaranty structure, and documentation. This can also include a simple review of treasury and cash management products and services, and optimizing this setup to match your internal needs and capabilities (i.e. are there more cost effective product solutions available?). So how do you learn what you don’t know? We’ll give you some questions to help you figure that out. Which bank is the right bank? There is no “one-size-fits-all” bank. What you need to know about loans. If you liked this episode of unsuitable on Rea Radio, let us know by hitting the like button or by sharing it with your followers on social media. You can also use #ReaRadio to join the conversation on Facebook and Twitter, and you can watch the podcast in action on the Rea & Associates YouTube channel. We’ve also included access to additional resources on our website at www.reacpa.com. Financing The Gap – Will you have enough cash on hand to fuel your business if and when you need it? A well-structured line of credit provides you with room for growth and can be established by implementing a borrowing base or working capital covenant. Read on to learn more. Looking For The Next Level Of Business Success? – Establishing and maintaining healthy bottom line growth is the gold standard in business, but getting to that point isn’t always easy. If you start putting your effort and resources toward this particular strategy, results are sure to come. Read on to learn more! 5 Not-So-Secret Secrets Of Successful Businesses – Are you looking for ways to take your business to the next level? Continue reading to try these not-so-secret secrets on for size!